It could not be much harder for the small and late-comer e-wallet to share a stand in the Asia market. While the amount of non-cash transactions is anticipated to reach US$276.8 billion before 2020, a three-time higher figure than that of in 2015 based on the latest World Payments Report, most of the markets are either dominated by those who already made a step ahead or those backed by banks and other benefactors in the field of finance as shown below. Does it mean new or late-coming players have no chances to win over? Not really. In fact, the examples below will show you how David had punch above Goliath’s weight and how small players and latecomers attack the market fast by leveraging trends, targeting specific users, or leverage the natural payment behaviour in their existing user flow. 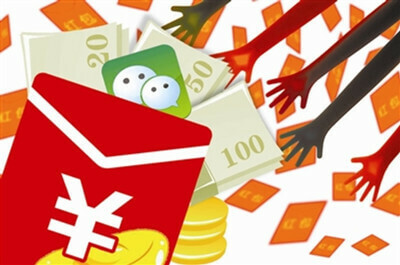 Few years ago, while Alipay, Alibaba’s digital payment app, has been the first mover to the e-wallet market, WeChat Pay attacked the market fast as a latecomer leveraging the red envelope. Traditionally, during Chinese New Year, money is put inside red envelopes representing a blessing or luck, which are then handed out to younger generations by their parents, grandparents, relatives, and even close neighbors and friends. WeChat Pay had successfully leveraged the tradition of giving red envelopes out and make it available on WeChat Pay. The implementation helped to enable WeChat Pay to drastically expand its market in a short span of time. Now WeChat Pay users not just use it for traditional blessing purpose, but many companies also use it as a tactic to get attention or for marketing use. The digital payment market in Philippine is not as prosperous as observers may expect in spite of its early introduction 14 years ago. PayMaya sees the current problem inside Philippine market. In fact, only 33.7 million users, which takes up about half of the consumers, have deposit accounts in banks, while ordinary mobile payments require their users to bind their traditional accounts to the apps. PayMaya thus enjoys its success through targeting the “unbanked” consumers and “uncarded” tech-savvy millennials, and it later proves its triumph as the penetration rate of the app wins over most of the banks in Philippines. Payfazz, the first Indonesian startup that made it into Y Combinator, finds its success in coordinating with banks to create a diversified network of bank agents, which means any verified person with good standing can act as an intermediary between a user and the bank. Since 64 per cent of Indonesia’s population is unbanked as most of these facilities are in major cities, Payfazz has to deal with the problem of cash transactions, and what comes in the end is to provide a platform for users to make “non-cash” transactions. Payfazz’s solution allows users in Indonesia to deposit money into the app and later use it for bill payments, P2P transactions, and phone top ups. Its role as an agent network does efficiently facilitate the finance cycle in Indonesia and help bridge with overseas financial systems. Fulfil the payment scenario in their existing user flow seamlessly. The traditional tactic of e-wallet startups is to use monetary reward to incentivize users to download and use their payment app, e.g. : “Install the e-wallet app, you can get $100 credit to buy something at once.” However, user will abandon the app immediately after they use up the credit. Therefore, instead of building a pure payment app, lots of startups built their e-wallet as an extension of their original app, in which payment itself is part of the user journey. Grab is originally a tech company founded in 2012 offering a wide range of ride-hailing and logistics services through its app. It launched its e-payment solution GrabPay in 2017. Since users need to pay for the ride in the user journey, Grab Pay gets users to use its e-wallet successfully and it continues to develop by extending the use of GrabPay to merchants like F&B, retail and entertainment industries. Its latest collaboration with Indonesian startup Kudo helps speed up its expansion in the car-calling service. Through the acquisition, Grab could bring in more than 400,000 agents across 50 towns and cities through Kudo’s O2O platform, raising Grab-Pay’s penetration rate. Tokopedia is one of the largest ecommerce platforms in Indonesia which has over 35 million monthly visitors across the counrtry. TokoCash Services was presented in March 2017 to enable more Indonesians to enjoy the benefits of online transactions in Tokopedia, especially Indonesians who do not have bank accounts. Again, pay to purchase a product on e-commerce platform is part of its user journey, users would use TokoCash without much hesitation . Currently Tokopedia is applying for electronic money licensing to Bank Indonesia to make TokoCash accessible to all Indonesians even on platforms outside Tokopedia in the future. Founded by 2 uni students in early 2016, Qnect is a memberships and social ticketing app which targets the university market. The idea of tapping into the student market is originated from the founders’ experiences in holding and managing student clubs and activities. “Currently, each campus has approximately 200 organizations, each managing 1,000 to 8,000 student members, and require collecting payments for memberships, ticketing, and merchandise.” Liang, one of the founder said. As there is no member management system to streamline all the ordering and selling of merchandise most uni students still heavily rely on current existing platforms like Google Forums, Facebook and other bank transfers to deal with these O2O payments. Therefore, Qnect was founded to solve this pain point. University students may not be the biggest market, but users get used to payment behaviour in the process of buying an average of 200+ organiations’ products & event tickets within their 4-5 years of study life, which creates the user stickiness and payment habit. With more than 30,000 graduating students every year in HK and even more in Australia, this is an organically fast-growing startup and they are expanding to the Southeast Asia market recently. Mergers and acquisitions: Who is the next? While some big players developed their own e-wallets — e.g., Uber just introduced Uber credit card, Ola established Ola Money, etc. — others choose to acquire smaller startups for market expansion, financial licenses and R&D. Examples such as Grab’s acquisition of Kudo, PayPal’s acquisition of Fig Card, Airbnb’s M & A over Tilt, and Go-Jek’s recent acquisition of 3 fintech startups including Kartuku, Midtrans, Mapan, have all demonstrated the high potential exit opportunity for small e-wallet startups in different niche markets. Therefore, for e-wallet startups like Qnect & PayFazz, who target at niche segments with a unique business proposition, they may be the next acquisition target in the next few years.